Below you fill find all funeral homes and cemeteries in or near National City. National City is also known as: San Diego County / National City city. Their current mayor is Mayor Leslie Deese. Zip codes in the city: 91950, 91951. From 1978 until now, we have assisted thousands of families, many personal friends, co-workers and relatives through periods of grief, anger and financial challenges. Some of the notable people born here have been: Mary Castillo (writer and author), Juan Vargas (politician and lawyer), Robert W. Filion (cinematographer and editor), and Vidal Nu�o (baseball player). National City is a city in San Diego County, California. The population was 58,582 at the 2010 census, up from 54,260 at the 2000 census. National City is the second-oldest city in San Diego County. It was reported on January 19th, 2019 that Paul D Browne passed away in Kingman, Arizona. Browne was 78 years old and was born in National City, CA. Send flowers to share your condolences and honor Paul D's life. It was disclosed on January 9th, 2019 that Ronald L Haubold died in National City, California. Haubold was 79 years old. Send flowers to express your sympathy and honor Ronald L's life. It was disclosed by San Diego Union-Tribune on November 25th, 2018 that Fern Heaton (Turner) died in National City, California. Ms. Heaton was 94 years old and was born in Le Feria, TX. Send flowers to express your sympathy and honor Fern's life. It was noted by San Diego Union-Tribune on October 16th, 2018 that Shirlee A Bolger passed away in National City, California. Bolger was 91 years old. Send flowers to share your condolences and honor Shirlee A's life. It was reported by San Diego Union-Tribune on September 30th, 2018 that Donna Jo Deptula (Walker) passed away in National City, California. Ms. Deptula was 83 years old. Send flowers to express your sympathy and honor Donna Jo's life. It was disclosed by San Diego Union-Tribune on August 31st, 2018 that Sharon Marie "Sugar" Vandeventer (Flores) perished in National City, California. Ms. Vandeventer was 84 years old. Send flowers to express your sympathy and honor Sharon Marie "Sugar"'s life. It was reported by San Diego Union-Tribune on August 30th, 2018 that Marguerite "Maggie" Redondo died in National City, California. Redondo was 71 years old and was born in Boston, MA. Send flowers to share your condolences and honor Marguerite "Maggie"'s life. It was revealed by San Diego Union-Tribune on August 22nd, 2018 that Evelyn Davis passed on in National City, California. Davis was 87 years old and was born in Broken Bow, OK. Send flowers to express your sorrow and honor Evelyn's life. It was revealed by San Diego Union-Tribune on August 22nd, 2018 that Angeles "Lily" Martin (Fernandez) died in National City, California. Ms. Martin was 86 years old. Send flowers to express your sorrow and honor Angeles "Lily"'s life. It was written by San Diego Union-Tribune on March 25th, 2018 that Andres M "Andy" Escudero died in National City, California. Escudero was 88 years old and was born in Tijuana, . Send flowers to express your sorrow and honor Andres M "Andy"'s life. The population was 54,260 at the 2000 census. National City is a city in San Diego County, California Diego County, California, United States. National City is the second oldest city in San Diego County with a historic past. . . 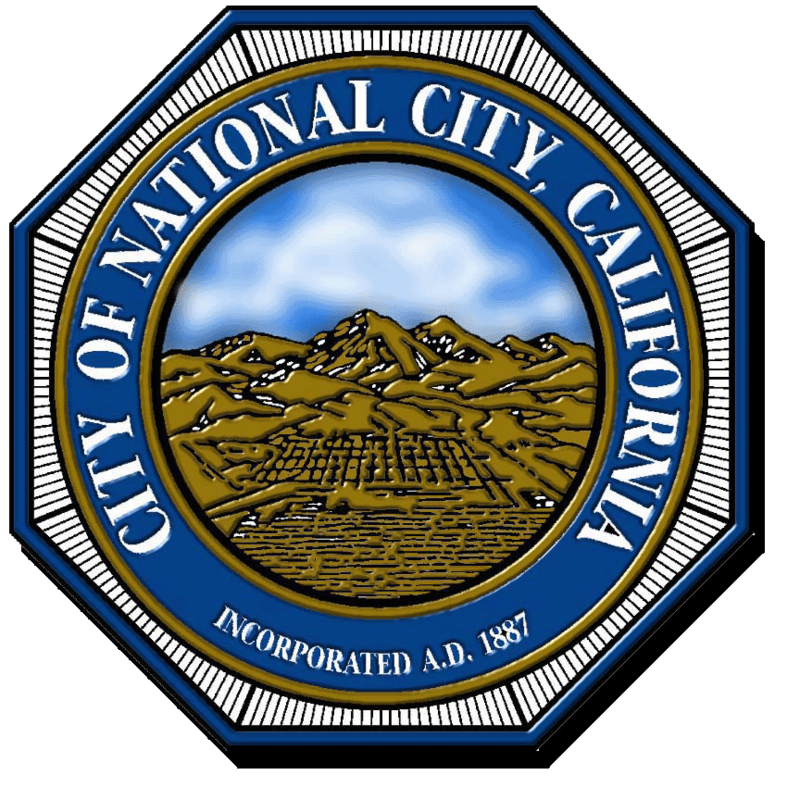 The official website for the city of National City is http://www.nationalcityca.gov. Funerals in National City, CA on Yahoo! Local Get Ratings & Reviews on Funerals with Photos, Maps, Driving Directions and more. Find a Funeral Home inNational City, California CA to provide the caring burial and ceremonial services your family deserves. Heath Funeral Home, National City, CA : Reviews and maps - Yahoo! Local, 619.477.4139. Get Ratings, Reviews, Photos and more on Yahoo! Local. We work with local florists and flower shops to offer same day delivery. You will find budget sympathy flowers in National City here. Our funeral flowers are cheap in price but not in value.